My skin never behaves in the Winter. Ever. 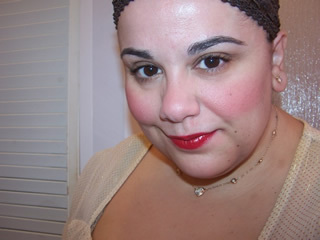 I get patchy dry skin between my eyebrows, on my cheeks, and just general gross, flaky skin all over the place! Yuk! I moisturize and moisturize and I moisturize some more but it doesn’t completely help my problem! I use this in the evenings prior to applying my night cream and it works absolute wonders on my skin. For one thing it really helps my night cream sink into my skin when my cheeks are feeling tight, dry, and chapped from the cold, cold weather! It also removes any flaky, dry skin I have on my face and just makes my face feel like a clean slate! With the combination of using this and When Hope is Not Enough in the evenings I wake up in the morning to a very soft face that’s ready for the world! Blackheads? Nasty little buggers aren’t they! I love scrubbing this on my nose to wipe clean any clogged pores! The texture of this is very silky. It has a slightly watery, soapy base with the perfect amount of crystals in the mix. The crystals are not abrasive or scratchy but if you’re skin is sensitive I highly recommend treating the back of your hand or a small part of your face prior to doing the full treatment just in case it breaks you out! Many people automatically assume that since it has “wash” in the title that means you’re supposed to use it with water. No. Not the case. No water is involved when treating your skin with this. Basically you squeeze about a quarter (or less if you please!) 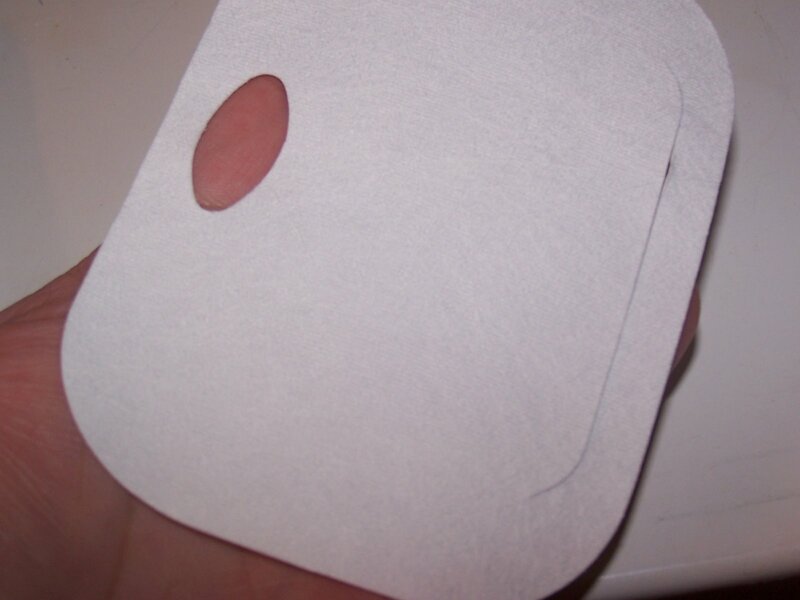 size amount into one of the Microdelivery cloths and scrub gently on your face in a circular motion. You can do it without the cloths but I prefer using them and I’ll tell you why in a brief second. I normally work this into my skin for a few minutes and rinse. I had previously used this on my damp skin, which if you want you can do too, but stopped doing so when I seen an interview with Christina Carlino (founder of Philosophy) recommending it be used sans water! After trying it I found it works twice as better on a dry face! Either wet or dry this will foam up a little as you scrub which I find great as you can feel like it working. There are so many crystals in the tiny squeeze that you used that you can easily distribute all over your face and work the product into your skin sloshing away dead skin cells and dry bits and pieces right off your face! You can get this guy in one of two sizes, 8oz or 16oz. Respectively you can get about 6 months or more out of the smaller bottle which will cost you $25 and you can probably nab a full year or more out of the big 16oz which is $37. The price is justified and inexpensive in my opinion since you’re using a tiny amount of product to achieve a fantastic finish to your skin! I was talking about The Microdelivery cloths a little bit ago. Cloths are sadly sold separately and you might not be be able to justify the cost as they are $15 for 20 clothes tiny bit expensive but I love them! The good news is you can buy a duo of the wash and cloths on QVC for $35 (Item Number A72557) or you can scour E-bay and nab packs of 20 for $5-$10 depending on how lucky you are while bidding! The clothes just make the wash easier to distribute and work around my face and aid me in getting a nice proper scrub. You slip your hand into the one end and slide your thumb into the hole on top. Squeeze a bit of the wash onto your hand and scrub, scrub, scrub with the cloth! Presto! Beautiful Skin! 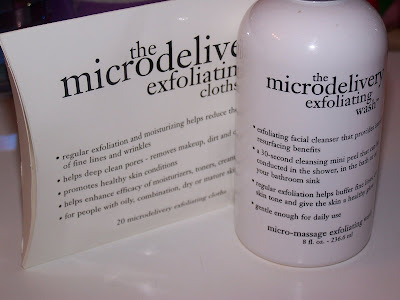 The Microdelivery Exfoliating Wash is possibly your best defense against dry Winter Skin! If you’re looking for a Steal and a Deal grab 32oz’s of this wash for $49.98 from QVC using Item Number A74085. I have this in the large size and I use it to refill my little 8oz bottle! Perfect and a value!!!!!! The Microdelivery Exfoliating Wash and Cloths are very Muse Approved! I use Microdelivery Wash every morning, and I love it! I think it gives me a great start with my skin in the morning. I agree! Its like a much needed cup of coffee for my skin! Wakes it up in the morning and creates a nice smooth canvas for moisturizer and makeup! You know, I LOVED this stuff when I first got it, now I’m down to about half a bottle and it seems like the little microbeads are gone! I dont know if they’ve dissolved or what…but I’m very sad 🙁 I cant feel them on my face at all!